Death of Blessed Jakob Griesinger. Little is known of Jakob Griesinger, also known as Jakob von Ulm and as Alemannus. He was born in Ulm, Germany in 1407 and trained as a glass blower. He undertook a trip to the holy sites in Rome and on the return trip stooped to pray at the grave of St. Dominic. He then entered the Dominican order in Bologna. He became the glass maker for the order there and achieved note for the fine glass works and stained glass windows he produced. His remains are preserved in a glass shrine in Bologna. He was beatified in 1825 by Pope Leo XII. His feast day is designated as October 11. Ulrich Zwingli dies in Sankt Gallen, Switzerland. 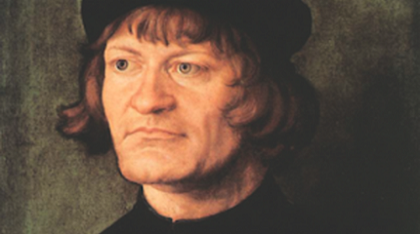 Zwingli was the most influential church reformer in the development of Swiss Protestantism. He studied at the Universities of Vienna and Basel. He was ordained a priest in 1506. In his early years Zwingli criticized some of the abuses of the church of those times and in a minor way was involved in the questioning of the practice of indulgences. By 1522, however, his views had developed sufficiently to lead to controversy in the church. He questioned fasting and the celibacy of priests. In 1523 he published his 67 Artikel. 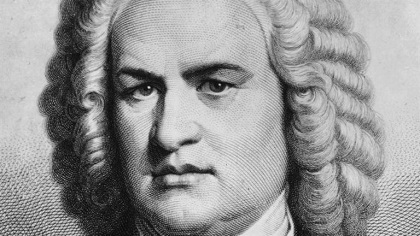 Progressively his leadership led to the removal of images from churches, the removal of organs and the replacement of the mass with a communion service. In 1529 the Züricher Bibel was completed. 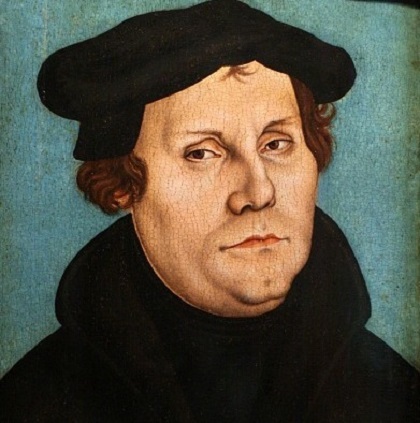 He fell into disagreement with Martin Luther on the question of the real presence of Christ in the Eucharist. Ultimately the Swiss reforms led to the Second War of Kappel in which Zwingli was killed. Birth of Wilhelm Olbers in Arbergen, Germany. 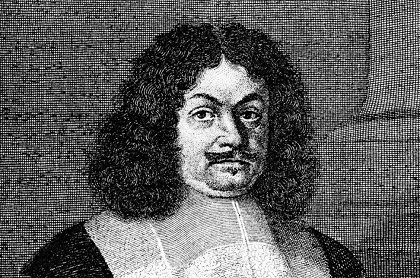 Olbers, a physician and astronomer, identified the asteroids Pallas and Vesta and five comets. He created a method of determining the orbits of comets. 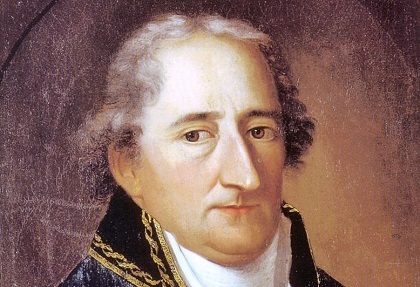 It was he who developed the theory that the tail of a comet is directed away from the sun due to solar radiation. Birth of Conrad Ferdinand Meyer in Zürich, Switzerland. 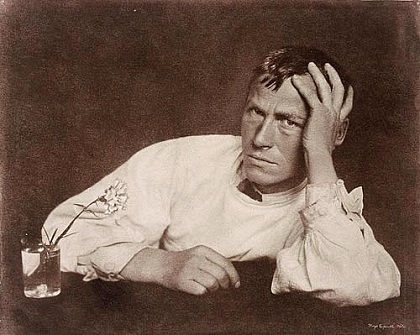 Meyer wrote poetry and novels. Among his works are Das Amulett, Der Heilige, Das Leiden eines Knaben, and Die Hochzeit des Mönchs. Death of Ferdinand Gotthold Eisenstein in Berlin, Germany. Eisenstein was a professor of mathematics at the University of Berlin. Eisenstein’s work led to theorems for quadratic and biquadratic residues, a reciprocity theorem for cubic residues, cyclotomy and quadratic partition of prime numbers. Birth of Berthold Laufer in Cologne, Germany. Laufer completed his doctorate at the University of Leipzig in Far Eastern Studies. He immigrated to the U. S. and became the curator of Asiatic Ethnology and Anthropology at the Field Museum of Natural History in Chicago. He wrote over 150 books on Chinese and Tibetan culture. Birth of Hans Kelsen in Prague, Austria-Hungary (now in the Czech Republic). 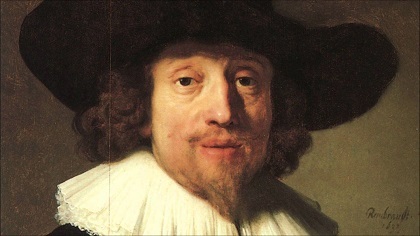 Kelsen, a jurist, developed the “pure theory” of law. Kelsen was a professor in Vienna, Cologne, Geneva and Prague. From 1920-1930 he was a judge on the Austrian Constitutional Court. He immigrated to the U. S. in 1940 and taught at Harvard and U. C., Berkeley. 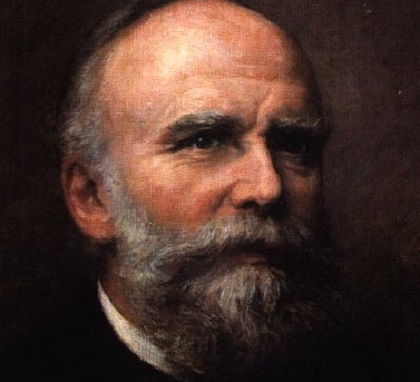 Among his major works are Hauptprobleme der Staatsrechtslehre (Chief Problems of the Doctrine of International Law ), 1911; Allgemeine Staatslehre (General Theory of Law and State), 1925; Reine Rechtslehre ( Pure Theory of Law), 1934; The Law of the United Nations, 1950 and Was ist Gerechtigkeit (What is Justice? ), 1953. Birth of Friedrich Bergius in Goldschmieden, Germany (now Poland). Bergius was a chemist who discovered how to convert coal dust and hydrogen into gasoline. For this work he was awarded the Nobel Prize for Chemistry in 1931. He also did some work on the conversion of wood into sugar. Death of the composer, Anton Bruckner, in Vienna, Austria. Death in Munich of Otto, younger brother of “mad” King Ludwig of Bavaria. Otto had been insane since 1872. When his brother, the king, Ludwig II died in 1886, Otto became the king, despite his insanity, under the regency of his uncle, Luitpold. He remained king until his cousin, Ludwig III declared himself king on November 5, 1913. 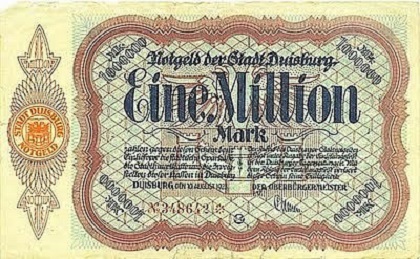 In the great inflation after WWI the German mark falls to a price of 4 billion per dollar. During a period between 1918 and January 1924, the German mark suffered hyperinflation. 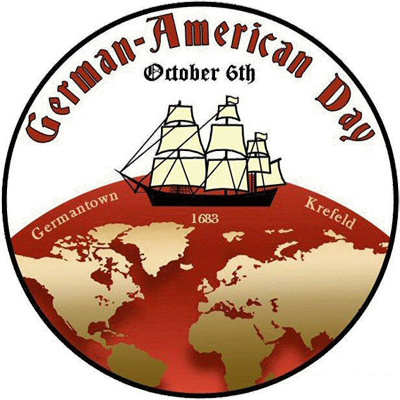 It caused considerable internal political instability in the country, the occupation of the Ruhr by foreign troops as well as misery for the general populace. To pay for the large costs of the ongoing First World War, Germany suspended the gold standard (the convertibility of its currency to gold) when the war broke out. Unlike the French Third Republic, which imposed its first income tax to pay for the war, German Emperor Wilhelm II and the German parliament decided unanimously to fund the war entirely by borrowing, a decision criticized by financial experts such as Hjalmar Schacht as a dangerous risk for currency devaluation. Wilhelm Pieck becomes the first president of East Germany. Death of Johannes Robert Becher in Berlin, Germany. Becker joined the Communist Party in 1918. He was a poet and a political activist. He was elected to the Reichstag in 1933 but forced into exile. He fled to Moscow where he edited a German-language newspaper during the war. He returned to Germany in 1945. 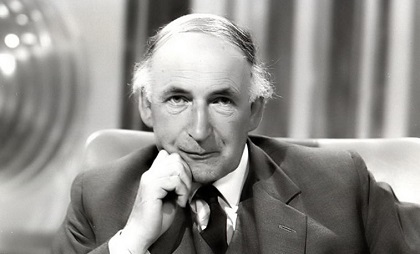 In 1954 he became the East German minister of culture. The writer Martin Walser receives the Peace Prize given by the German Bookdealers Association (Börsenverein des deutschen Buchhandels). The prize was presented in the Church of St. Paul in Frankfurt am Main. Edith Stein is canonized a saint by Pope John-Paul II. She converted from Judaism to Catholicism (1904) and became a Carmelite nun. She earned her doctorate at the University of Göttingen in philosophy. She subsequently taught at Göttingen. She became a teacher at the Institute for Pedagogy in Münster in 1932, but had to resign shortly thereafter due to growing antisemitism in Germany. 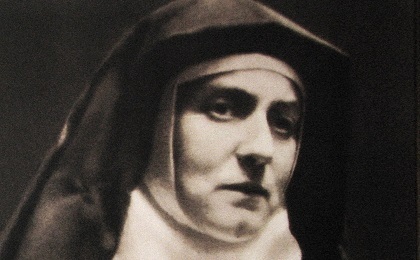 She entered the Carmelite convent in Cologne in 1934 taking the name, Teresa Benedicta of the Cross. In 1938 due to increasing Nazi pressure she moved to the convent in Echt, Holland. There she was arrested by the Gestapo and sent to the concentration camp at Auschwitz where she was murdered in a gas chamber. She was beatified in 1987. 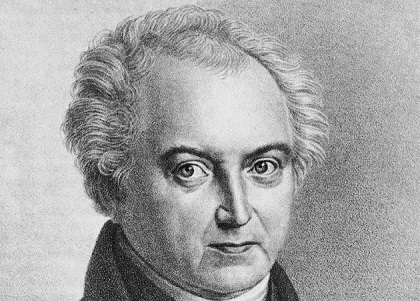 Works by Stein include Endliches und ewiges Sein, and Studie über Jonnes a Cruce: Kreuzeswissenschaft.